Kate and Oli: My End of Summer Playlist + Giveaway! Count me in! I'm not one to turn down good summer tunes. I love Maps, Toby Keith and Kings of Leon too! Three very different artists! Thats so cool you like them too! this is the item i hearted,i love it because of the message it says. And i will facebook this item. My blog is really only for paintings,i do not write there,just post my paintings.I am not officially entering the giveaway,just here to let you know that i am grateful,and to tell you i like the card.You have cute stuff in your shop. Thanks for entering my giveaway! Count me in for yours as well! Have a Monstrously Happy Birthday is my fave from your shop! and I hearted your shop! Hey! thanks for entering into my giveaway! and I have to enter yours too! $15 itune gift card is just not to be missed! I am already a follower!! Congrats on winning my giveaway! My favorite is the Octopus Hugs card. I chose it because it's just so darn cute. How could I not love a green octopus!? Okay. I love the Are You Kidding Me Belated Bday Card. So funny :) Hearted! I hearted the Eensy - Weensy Cards - Circus Set because they are cute! You are now on my Etsy faves! I am going to check out your music playlist now...hoping I win! I'm a following & hearting! My favorite is the "How to Diaper a Baby" card. Seriously, who could resist it? I hearted your shop because there were too many items I liked to choose just one! 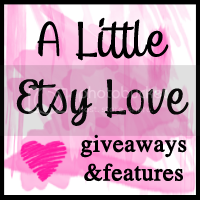 Hi, thanks for letting me know about this fab giveaway! I'm glad you like my embroidered cupboards! I couldn't pick just one favorite, so I hearted 'Trees' and the prettiest mathmatical eensy weensies! Hearted you, too! And I'm not sure if this counts as an entry too, but I'm adding your little button to my 'Lovely, Lovely Blogs' wall so others will find you, too! Hope it's not too late! Just got your message on my blog =) Cute stuff! 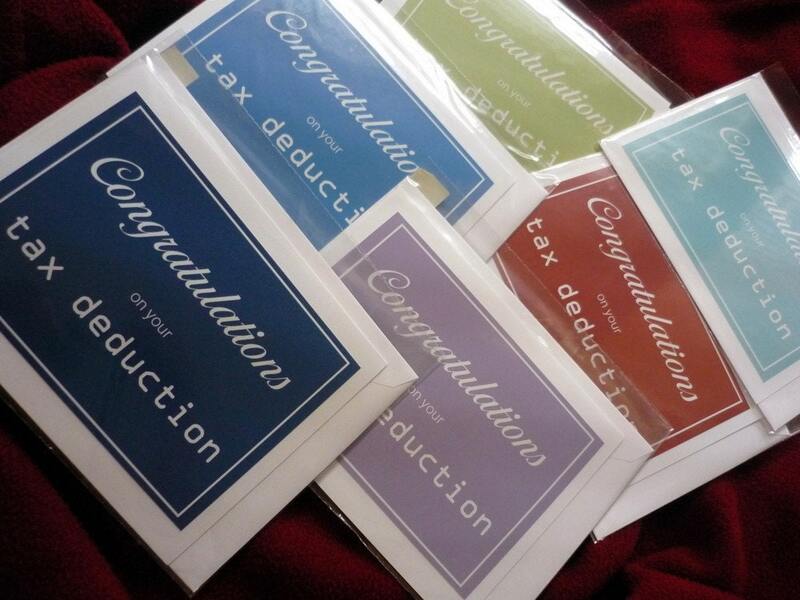 I love the "tax deduction" card!